Testimony submitted by OMNI Health Systems, Inc. Recommendations for Reform submitted by Tom Douglas, M.D. Examine the status of the Health Care Network Advisory Committee's (HNAC) and the Texas Workers' Compensation Commission's implementation of the regional workers' compensation health care delivery networks outlined in Article 2 of HB 2600 (77th Legislature, 2001). Quality monitoring systems such as independent report cards. 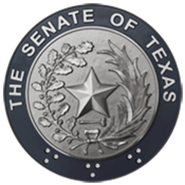 Study the impact of the Texas Workers' Compensation Commission's 2002 Medical Fee Guideline on access to quality medical care for injured workers and medical costs, including recommendations on whether the legislature should statutorily prescribe a methodology for calculating the workers' compensation conversion factor. Survey the costs and benefits of other health system cost-containment strategies as they relate to medical, therapeutic, and pharmaceutical care, including but not limited to, doctor selection, deductibles, co-payments, preauthorization of services, and return-to-work programs. Conduct a cost-benefit analysis, to the extent possible, comparing the Texas workers' compensation system to systems operating in other states. Make recommendations to improve the quality of care for injured workers, reduce fraud and inefficiencies, reduce overall claim costs, and streamline the administration of the system. Recommendations should address data exchange, advisory groups and review panels, dispute resolution, enforcement issues, paperwork reduction, and billing and administrative efficiencies. Study the efficiency and effectiveness of the state's workers' compensation system including a comparison of the medical and indemnity costs associated with the Texas A&M University system, the University of Texas system, the Texas Department of Transportation and the State Office of Risk Management. Evaluate the potential costs and benefits associated with state agency participation in workers' compensation networks.